I purchased 2 yards of burlap and 2 yards of a “backing” fabric. You don’t need to use a backing, but I thought it would look and feel more sturdy. I bought a light-colored fabric for the backing so that it wouldn’t be really obvious if the fabric showed through the burlap a little. The fabric was $2 per yard at Joann’s! SCORE!! 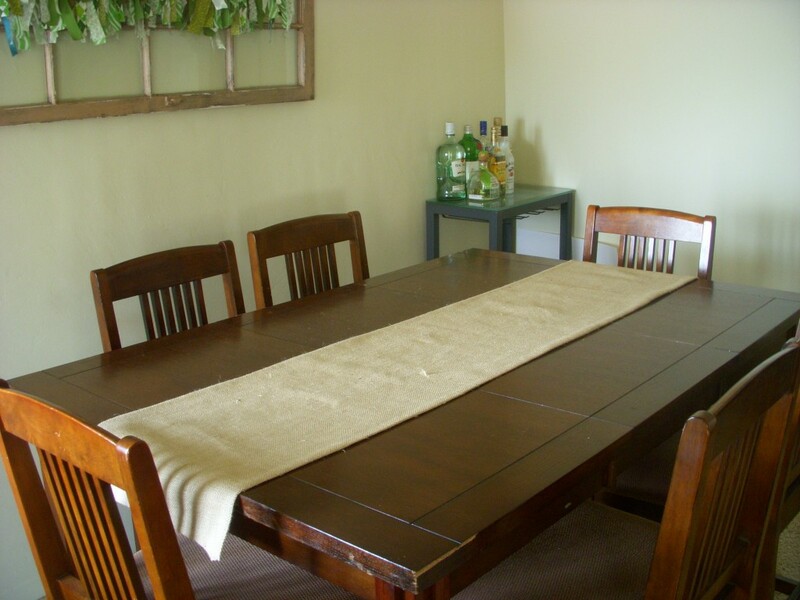 I wanted the table runner to be 15″ wide and as close to 2 yards as possible in length. I cut the backing to place it in the middle of the burlap. It was 15″ wide and just shy of 60″ long. I used the same “sewing” method on this table runner as I did on the Window Valance. I Heat ‘n Bonded the backing to the middle of the burlap (about 12″ at a time) around all 4 edges. Doing this ensures that the backing won’t move around. 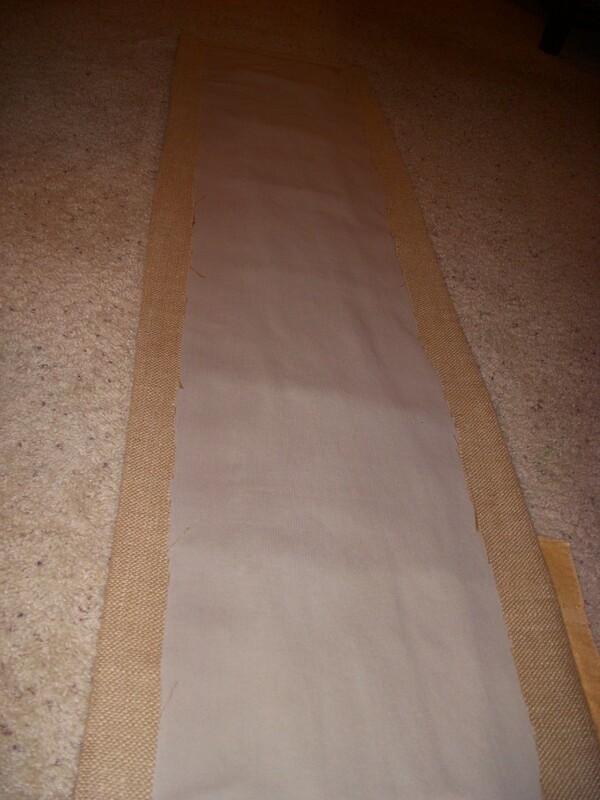 I then folded the burlap over the backing fabric and ironed so that there would be a crease. I used the Heat ‘n Bond and “sewed” the burlap to the backing fabric over all 4 edges. I’m really happy with the table runner! I feel that it’s so organic looking and I’ll be able to use it throughout the year with numerous centerpieces! Ps. Sorry for the poor quality of “instructional” photos… those were obviously taken at night.